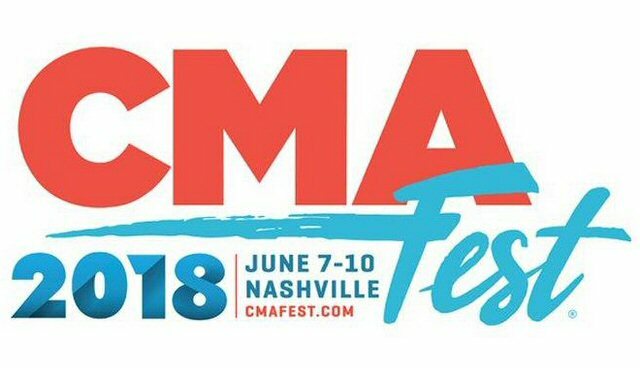 So, it's normally broiling in Nashville in early June as the much-anticipated annual CMA Festival rolls around and it was no different this year as a four day run of mostly mid-90's temperatures turned this one into an extra hot affair in Music City. 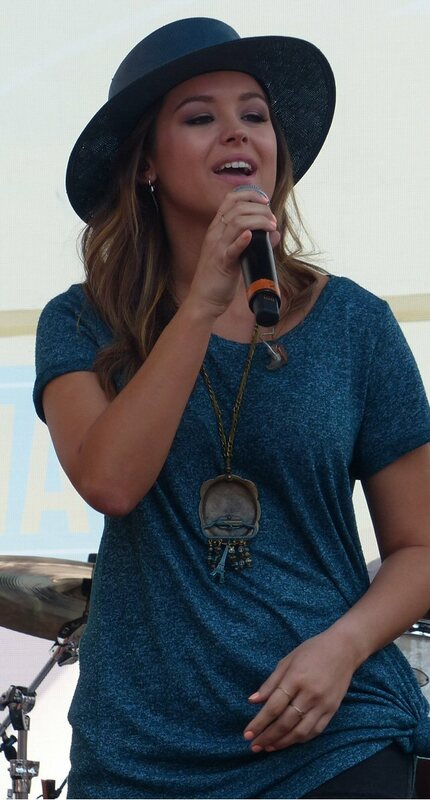 Haley Orrantia from the 80's sitcom performs as temps soared into the 90's in Nashville. On Friday, June 08, 2018 Haley Orrantia - better known as Erica Goldberg on the ABC sitcom - took the stage with a reminder for fans holed up at the Hard Rock on First Avenue and Broadway to stay hydrated before she herself took a big swig of H2O mentioning that over 500 festival goers needed medical attention on Day 1. Hayley in real life and her character on the 80's themed television series are both pursuing music careers and her recent outing for the "Strong, Sweet and Southern" single has proven her as a force to be reckoned with in the crowded field of country music. SoBro is still talking about her triumphant gig at the Wildhorse Saloon a few weeks back. So, it will be interesting to watch as her musical excursion continues to unfold in the present - and in the past - on TV. 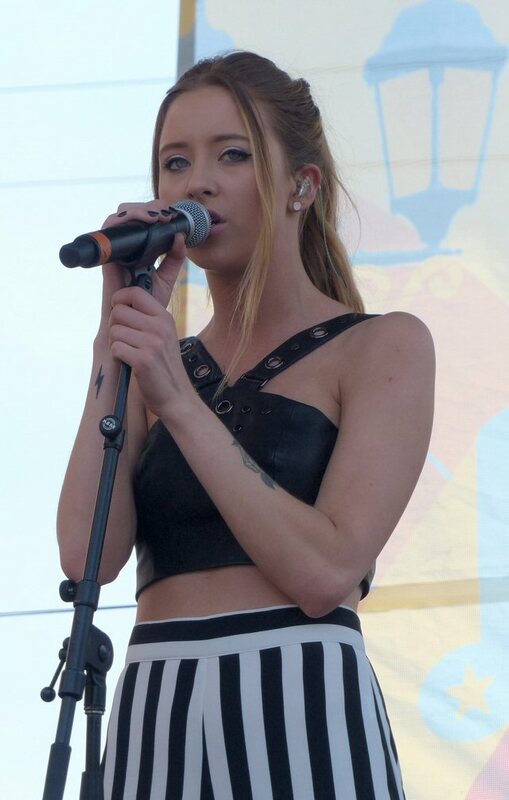 The pride of Portland, Maine, Sirius XM "Highway Find" Kalie Shorr has been named to Taste of Country's "2018's Hottest Artists Under 25" list. Shorr joins veterans Lauren Alaina and Kane Brown, along with Kelsea Ballerini, Danielle Bradbery, former tourmate RaeLynn, Maddie & Tae, Mason Ramsey, and CB30, making Shorr the only independent artist included. The "Fight Like A Girl" singer was all over CMA week at multiple events including a set on the Hard Rock stage. Rolling Stone heralded the young phenom as this year's "Best Pop-Punk Surprise" praising her fer her daring cover of "My Own Worst Enemy" by Lit while doing her best to win new fan's and followers to her song's that the respected magazine said were loaded with "a little punk, a little twang, a little sweat and plenty of empowerment." Kalie Shorr was in a fighting mood at the CMAs and she delivered a knockout set that got her noticed.